Home » Aperitivo at Finestra , bella notte , cocktails , dish , drink , drinks , Finestra at Solaire , Finestra Steakhouse , snack , Solaire Resort » Aperitivo at Finestra - A GREAT BFF Bonding Treat for Ladies! 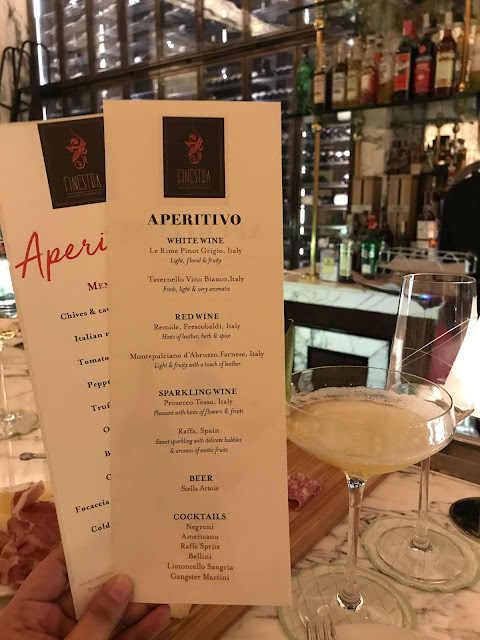 Aperitivo at Finestra - A GREAT BFF Bonding Treat for Ladies! 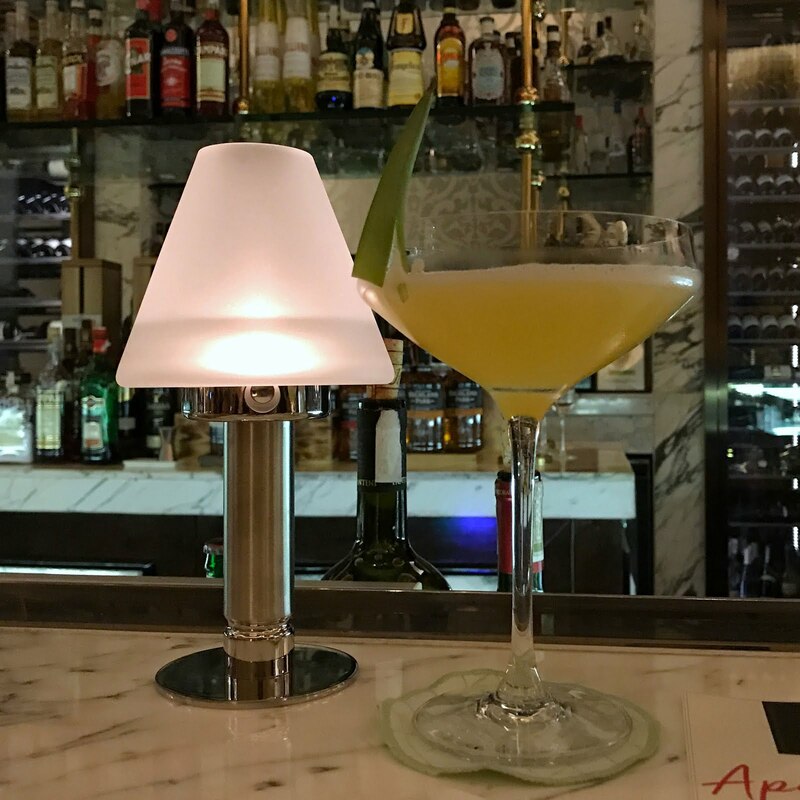 Aperitivo or Aperitif is an Italian tradition of a pre-dinner drink that's meant to whet your appetite before a hearty meal at night. It can include some munchies but nothing like the usual nuts - talk about cheeses and cold cuts here. Think of it as a "pre-dinner snack" in an upscale way. Wine selection ready for pouring! Meant to have ladies experience "Bella Notte" or a "Beautiful Night", Finestra offers Aperitivo! 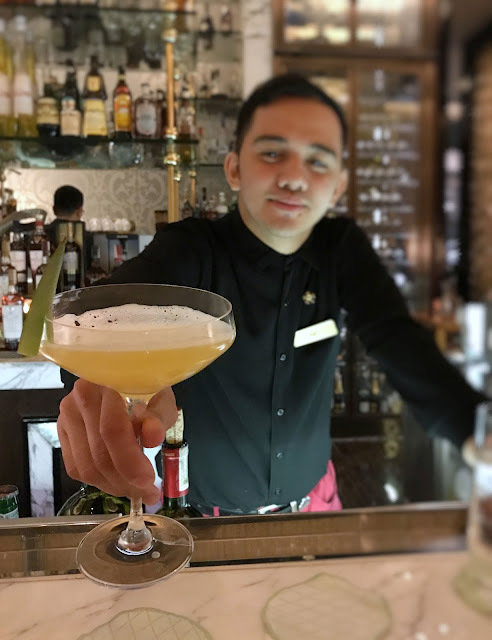 Finestra is an Italian Steak house in Solaire, set in such a grand location, with the beautiful Manila Bay sunset as it's backdrop. During the Christmas rush, they launched Aperitivo and made it into such an irresistible treat, perfect for BFF catch-ups! 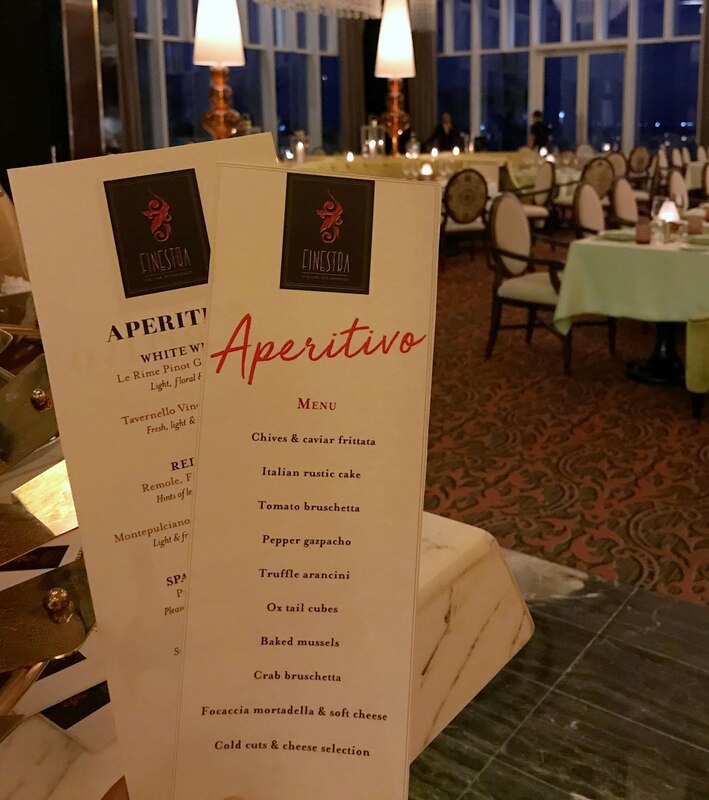 Available every Friday, starting at 5:30PM to 7:30PM, ladies can avail of Aperitivo for 2 for only Php1288! Yep! That's a BOGO for all ladies! Drink selection, all yours for taking! So, imagine if you'll go there with your BFF, your sister or your mom, that price is a great deal! Finger food and bar chows + cold cuts and cheeses! That includes all the wine, beer and even cocktails that you can drown yourself with PLUS all the cold cuts, cheese and other finger food that they have in their Aperitivo menu! So happy that I had the chance to try this offering! The night started with a glass of Prosecco Tosso for me. You can choose to have white, red or sparkling wine with one or two variants under each. 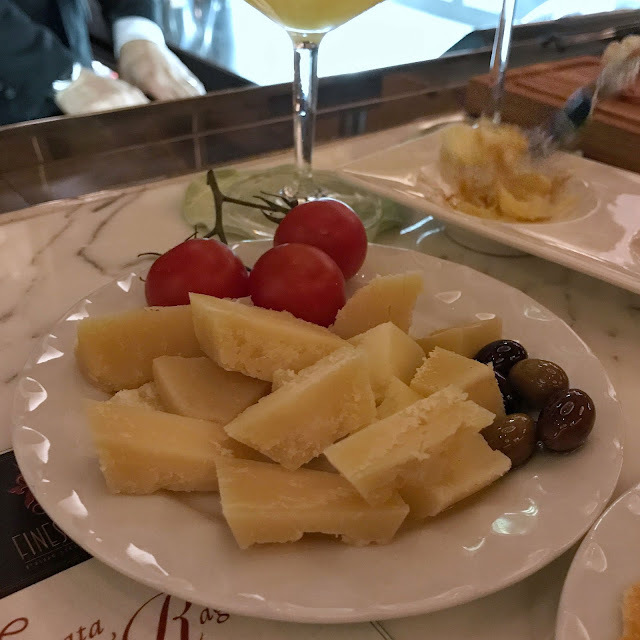 Then they'll serve the items in their Aperitivo menu in batches. Don't worry, you can ask for more if you wish. 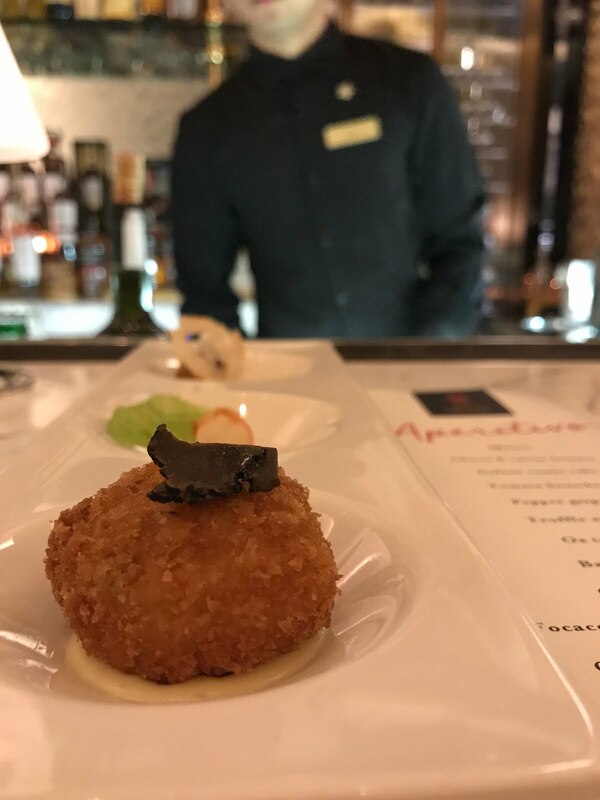 I especially loved the Truffle Arancini, Tomato Bruschetta, Ox Tail Cubes and the Foie Gras of course! Cheese, cheery tomatoes and olives! I also helped myself with generous serving of cold cuts, like prosciutto and salami, anchovies, cheese slices, olives and some bread. Bread Sticks and those round soft flaky pastries! You will not miss this delicious spread because it will greet you as soon as you step into the restaurant! Bar Table facing the wide selection of alcoholic drinks! Now onto the cocktails, my favorite part! Their staff are extra friendly and always ready to suggest their favorite drinks! Look for Carl when you visit and ask him for his recommendation. They welcome adjustments to your drink so be sure to ask what alcohol is included and the flavor profile. Since I don't like my cocktails strong, I always ask for lesser alcohol. So proud of his creation! Gangster Martini was the first recommendation of Carl. Vodka x pineapple, this drink also had hints of almond. Light and easy drink, perfect for afternoon chiil. Get this drink for the added entertainment! Carl also offered Negroni, a gin-based drink with orange peel, but warned that it's a strong one and he will not be able to adjust the alcohol for me. I declined but watched him make the drink for my friends. Limoncello Sangria - all mine! My favorite drink that night was the Limoncello Sangria! Limoncello is an Italian Lemon Liqueur that's reminiscent of good summer days! Mixed with white wine and lots of apple bits, this cocktail was light, fruity and sweet! Just the way I like it! To complete our "Bella Notte", we also went for their Serata Tra Ragazze which is a 3 course dinner specially made for ladies. It had me nodding in delight from starters to dessert - I'll write more about this in my next entry! Ahhhh... such a great night! It was such a GREAT Bella Notte Experience at Finestra that I kept on blabbing about it to my family and friends for weeks! More cheese and cold cuts, please? Awesome food, grand interiors, excellent ambiance and a great customer service to boot - Finestra is the absolute date night place! 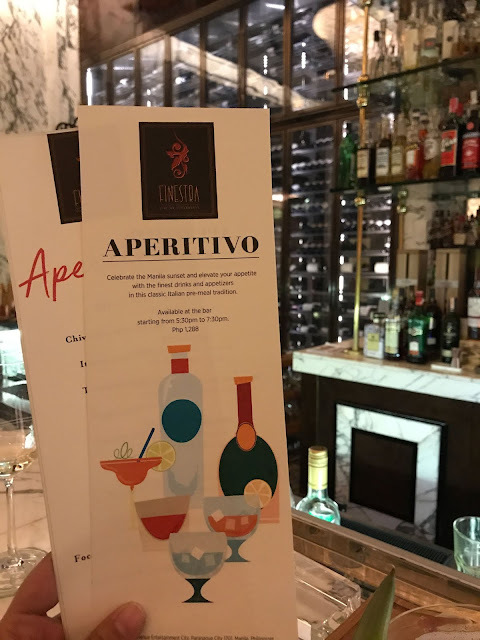 From Aperitivo to Serata Tra Ragazze or just their a la carte offerings, you'll get the value for what you paid for! 5 out of 5 Stars for Finestra!